Courses range from four week Ski Performance Camps to a full 12 week BASI 1&2 Ski Instructor Courses and begin on15th July and run through to 8th October, 2010. Base Camp's Bariloche courses are all inclusive with 30 hours of coaching per week from SASS and BASI coaches, outbound and inbound flights, transfers, accommodation, food, Spanish lessons and additional trips. Prices start from £4895 per person. Clients will fly from London via Buenos Aires to Bariloche. 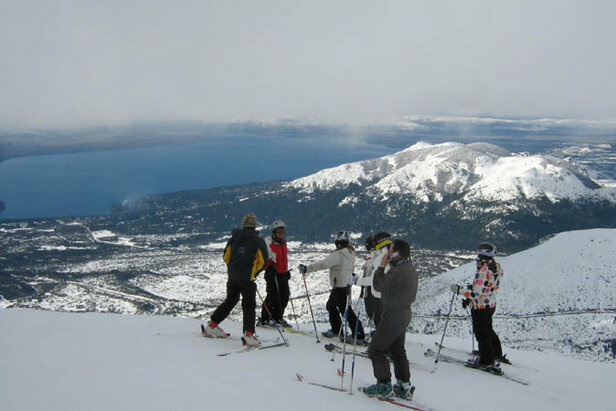 The medium sized town of Bariloche, convenient for night life, shopping, activities, casino, restaurants, tea houses and bars is 15- 20 minutes away from Cerro Cathedral ski area. A pioneer among South American ski resorts, Cerro Cathedral lies at 1,030 meters at its base and has some of the best snow conditions in South America averaging six metres per season, catering for skiers of all abilities. Over 600 hectares of terrain are divided into 53 marked runs of varying difficulties combined with extensive unpisted backcountry. 40 lifts can transport over 35,000 people per hour allowing the resort to minimise lift queues at peak times. The launch of Base Camp's Summer Ski programme ties in closely with Base Camp's updated website providing visitors with comprehensive information on Base Camp courses, travel information and industry news. Upon booking, clients can access Base Camp's growing online community through an Intranet that provides clients with 24-hour access to course itineraries, account information, a job recruitment service, message board and media area. "Argentina has long been in Base Camp's sights. An incredible, unforgettable experience for everyone that takes the course, we predict it will be one of our most popular". said Base Camp's Alex Berman.